Connecting your US-ONLY Amazon stores to Easyship. Easyship will need these keys to setup the integration, please write them down. 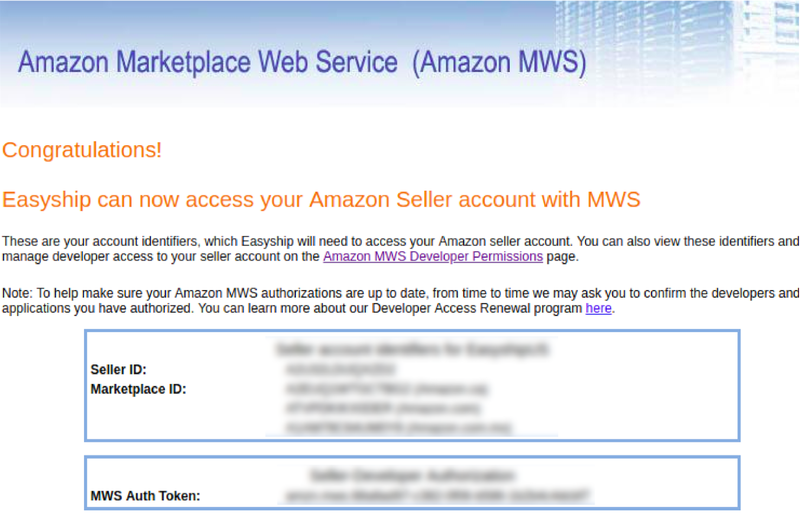 With these, go back to Easyship; at the Amazon connect page, put in: "Seller ID" and the "Auth Token"
You should now be able to sync your orders!